Car Damaged Beyond Repair? Don’t Panic, Here’s The Solution! Family life is rarely straightforward. It can often seem like every week there’s something else to worry about – at times it feels like the stress never stops. Of all the panics that parents have, one of the worst is finding out that your car is a write-off. Whether it’s been damaged by a road traffic accident or it’s failed its MOT and will cost too much to make road worthy again, it is a terrible predicament to be in. 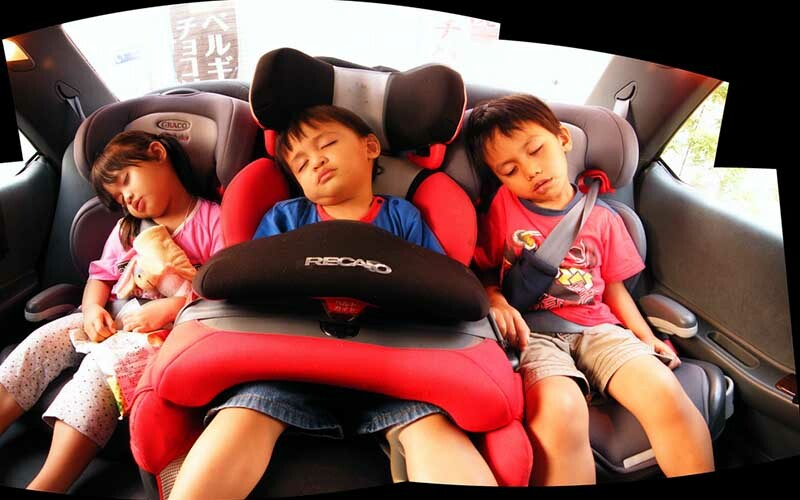 When you have a young family, a car is a vital resource. Even popping to the supermarket is like a military operation, which having a car can make much easier. You might like the idea of walking the kids to school, or if you are more adventurous cycling even, but when it comes to it and ensuring that you get there on time, a car really is crucial. Time is of the essence when you have little ones, as everything takes longer than it should do, which is why living without a car is a total and complete nightmare, or at least, it can be. Bearing that in mind, panicking when you hear that your car is undrivable is a completely normal response, and one that most parents would have. The question to focus on of course, is what can you do if your car is undrivable and can’t be fixed? Just because your car is no longer drivable, that doesn’t mean that it loses its value completely. Most garages will accept part exchange of old vehicles for new ones; they will either fix and re-sell old cars or strip them down and use them for parts. If you can’t afford to lose your car and its value completely – who can afford to do that – then, part exchange could be a good option. You could opt to part exchange it for cash and put that cash towards a new car, or you could part exchange it for money off of a new vehicle, depending on what works best for you and what the garage offers you. No one wants to get themselves into debt, but sometimes there is no other options but to do so. If you need a car and can’t afford to buy a new one yourself, you may be starting to panic. Why not consider borrowing the money and looking into secure loans? You may not want to be in debt but if it will give you and your family the freedom that you need to get around safely and efficiently, then, surely is it worth it? Don’t want to take out a loan, how about financing a car instead? While it’s still ‘technically’ a loan, car finance works a little differently and doesn’t feel like being in debt like a loan does, so this could be an option that’s worth considering. Can’t afford to buy a car? How about leasing one instead? Today, lots of families choose to lease cars because leasing means that you aren’t responsible for any repairs or car maintenance cost, and if there is a problem with the vehicle you just get given another one, no questions asked. It’s a great option which means you will always have a working vehicle and none of the worry of the costs that come with cars. Of course, you won’t own the vehicle but that doesn’t have to be a bad thing. The truth is that cars are expensive, which is why if your car has been damaged beyond repair, you may not be able to afford to buy another one.